Y’all know I love to thrifting for my wardrobe but I am always giving the home goods a once over while thrifting too! So many of y’all wanted to see some of my thrifted home pieces that I’ve decided to start sharing more of my home decor items I’ve thrifted, so let’s go! 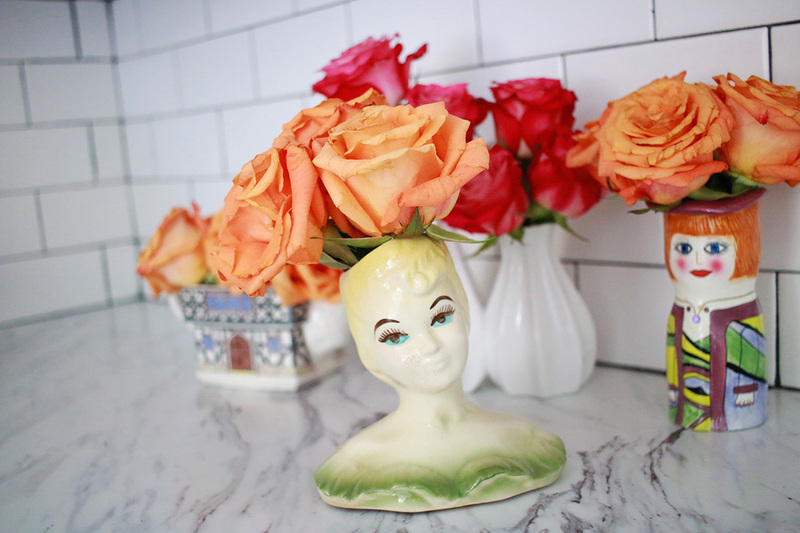 Vases/planters – I’m a sucker for vases or anything I can use as a vase! Under my sink is a whole mess of other vases/containers I use for flowers but I thought I’d show just a few of my pretties to start. Having a variety sizes means I always have something on hand when I grab flowers at the grocery store. 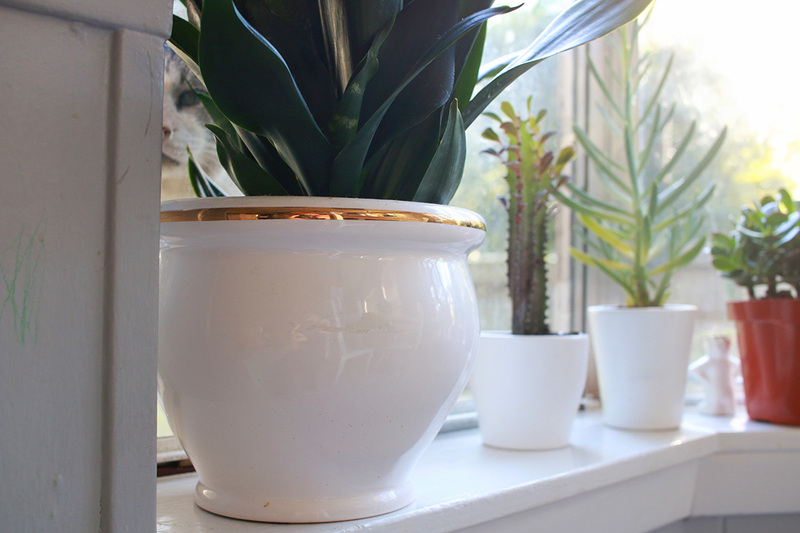 Along with vases, I am always on the look out for planters or something that can be used as a planter. One of my favorite things to do is use items in a way they aren’t meant to be used, like the cottage teapot above I use as a vase. This white pitcher was so pretty but let’s be real, I’m not going to serve lemonade out of it. Can you imagine putting a pitcher in your fridge with no top? Oh the messes! So I use it to rally up my wooden spoons & metal cooking tools, anything with color gets put into my kitchen drawers to keep a clean look on the counter. 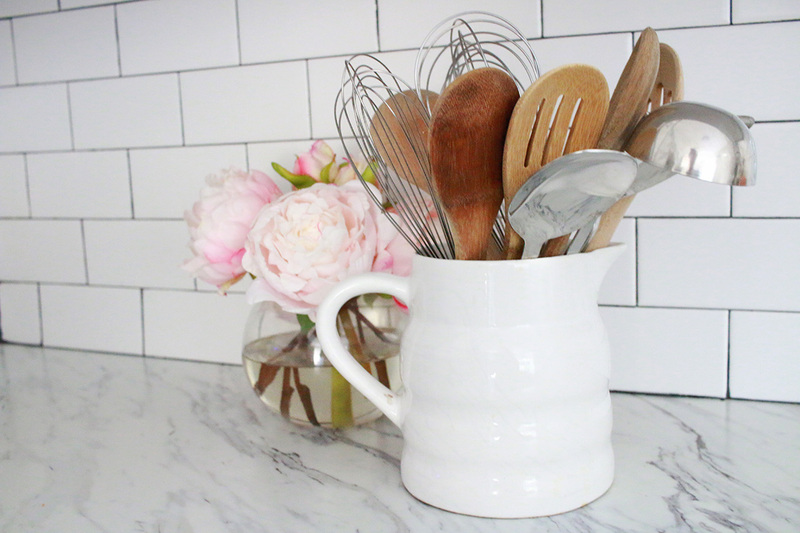 Putting a mod podge of whatever will create a cluttered look. 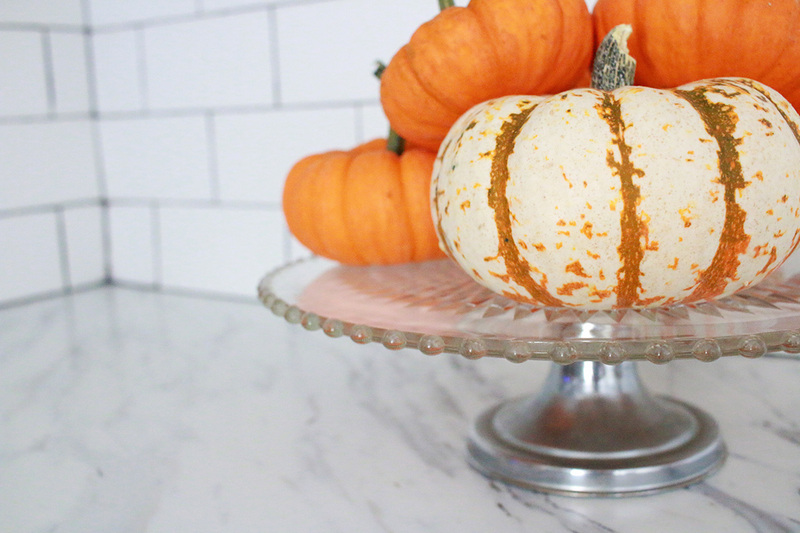 This cake stand is PERFECT for plopping pumpkins on in the fall & for the holiday season I’ll use it for food serving. 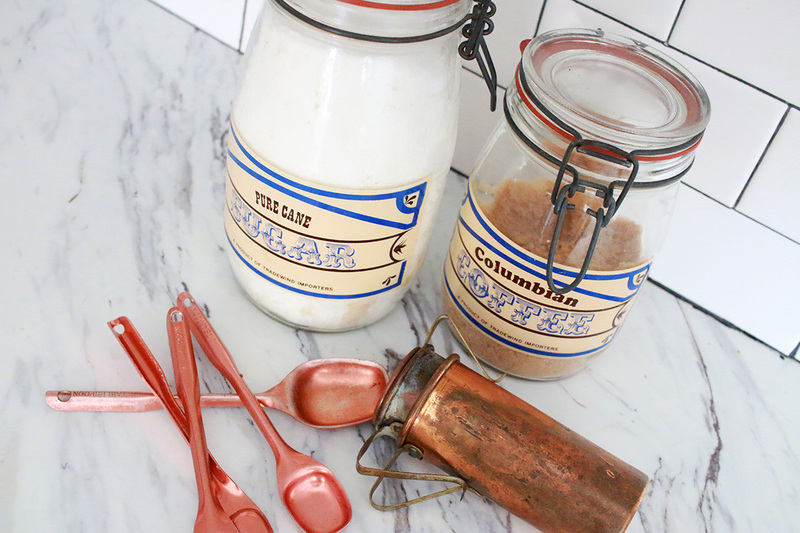 I love rustic & worn items but like to keep a very minimal kitchen asthetic, these copper spoons & measuring cups are ALWAYS in use but tucked into drawers. I also love buying canisters but those stay tucked into the cabinet & taken out only when needed. 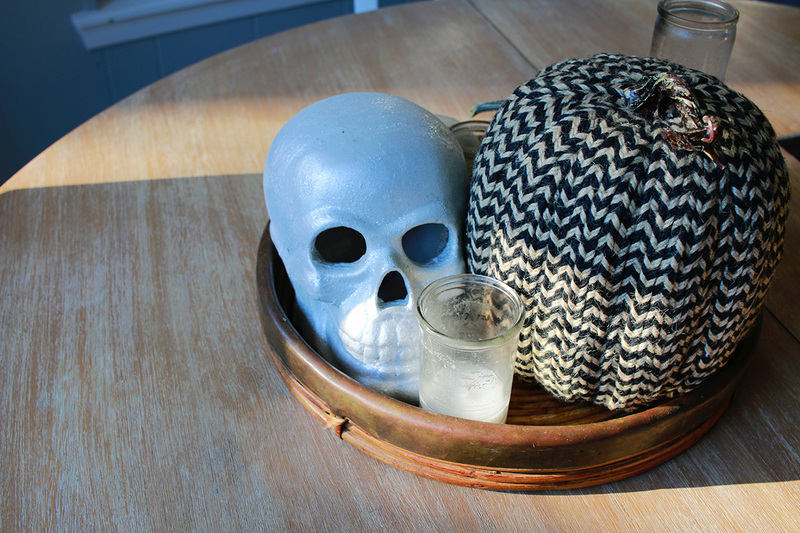 This tray had me at hello! The copper (?) trim is just SO beautifully worn in and gives off such warmth, I currently use this little tray to coral the decor for my kitchen table. 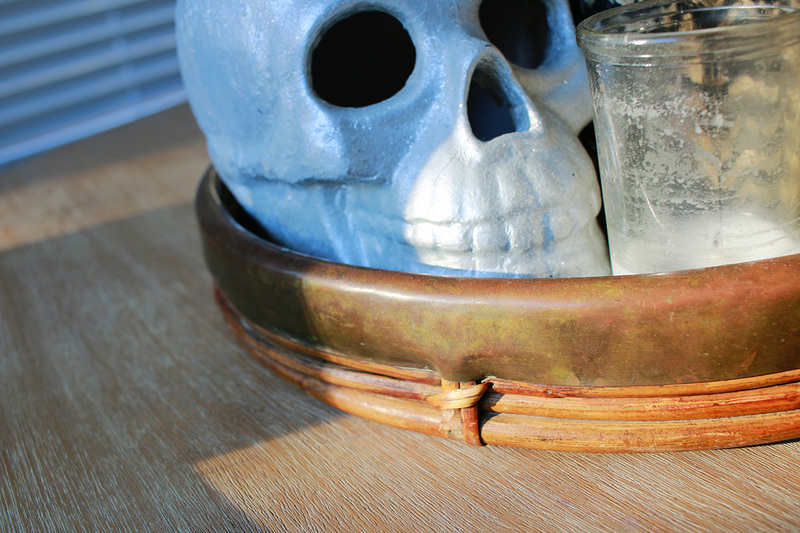 I originally had the same items just sitting on the middle of table but it felt unfinished, just gathering it in this tray seemed to give it a more purposeful & polished look. What do you think? What area would you like to see next?